After an exciting elimination process where my fiance explained why each non-winning submission was eliminated, we have a winner! Thanks once again to everyone for participating and I hope you enjoyed making sims as much as I enjoyed to see the results. And I think that winner is perfect for Coral! I think his genetics will go really well with hers! And you’re right, the light purple skin color is the one thing that most entries have in common. Congrats, simswhen! These are some hunky menfolk. But I really like how soft and dreamy Berrian looks. How did you go about making the decision? 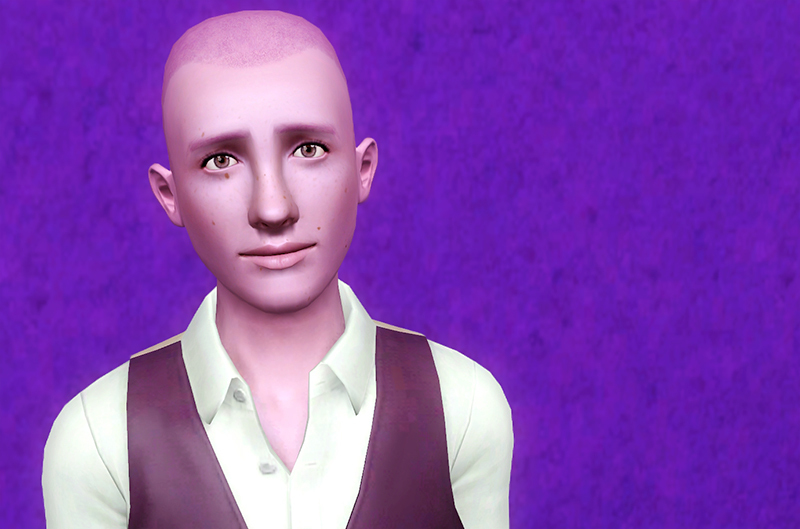 Scanning through the pics, I stopped on Berrian and thought, my he’s cute. And lo – he won! Awesome. Miracle is… Damn. Hot. LOL. Congrats to Berrian!